I greatly enjoyed Dane Brugler's breakdown of the 2009 Dallas Cowboys draft class on Monday. If you haven't read it, it is worth your while. You may not love the Cowboys draft plan, but you need to know more about them then simply calling them "11 dudes I have never heard of and the Aggie QB who wasn't very good". You will not impress your friends with that. With that in mind, I thought it might be good for those of us who are not NFL scouts to turn to one of our great teaching resources so that at least know what everyone is capable of before we all meet in San Antonio in the last week of July. Even though I knew the Spurs were not right going into the series, and even though I thought the Mavericks would eventually win this series...I didn't think that the series would end like this. In front of their fans, and in their house. Sweet. 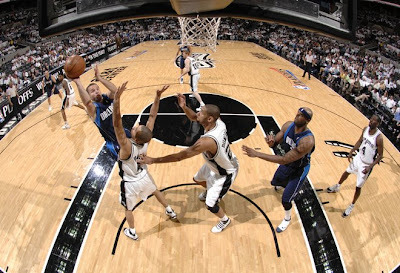 The Mavs won Game 5 in San Antonio with great poise and great execution. So much so that they never trailed and although the game was not without drama, the only mystery on display on Tuesday night was wondering how the Mavs would answer each Spurs surge with a surge of their own. Many moments with many fist pumps from many couches across North Texas. And if anyone in South Texas forgot why the Spurs spent so much of the series double teaming Dirk, they were reminded tonight. All 6 of the Mavericks who get most of the minutes (Dirk, Jet, Josh, Damp, JJB, and Kidd) all played solid games or better. You weren't sure how tough the Spurs were going to make closing out the series for the Mavs, but they left no doubt in the 2nd and 3rd Quarters when they threw everything they could at Dallas. But each time the Spurs knocked the Mavs out of rhythm, they were answered. The most memorable rally might have been when the Tim Duncan show cut the lead to 63-59. 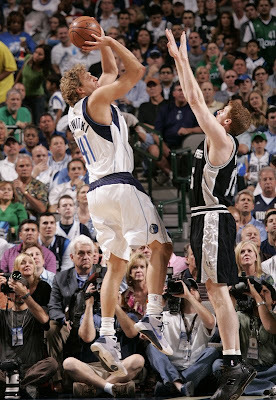 The Mavs get a timeout, and Dirk takes over with back to back hoops, followed by Josh Howard's 3 pointer and the lead goes back to 11 only 90 seconds after the time out. Yes, I said it. I said it Sunday at this very blog and then I had the audacity to say it again on the radio on Monday. Let me repeat for emphasis for anyone not sure if I mean it. Rick Carlisle is coaching this team better than Avery Johnson could. This, of course, will send some people to their emails to fire me back a retort about "Avery got them to the NBA Finals", and that is true. He did. He got the mentally strong Dallas Mavericks of 2006 to the NBA Finals, and for that, Avery Johnson should be credited heavily. As for the mentally weak Dallas Mavericks of 2007 and 2008? Not so much. I am not comparing Carlisle '09 to Avery '06. In fact, I was a huge fan of Avery '06. But, then he lost his head - and in doing so, the Mavs lost their nerve. He seemed to alienate many of his assistant coaches and many more of his players between June '06 and April '08. He forgot what made this team special 24 months prior and seemed to go somewhat crazy in his efforts to find a solution that he could never locate. The premise of firing Avery Johnson was an easy conclusion . He lost the team. So, therefore, he lost his job. First off, sorry for the tardiness on getting this post up, but sometimes stuff like the NFL Draft and church get in the way. I'll try not to let it happen too often, because this was a game worth writing about. Now, on to the Game 4 victory that was very enjoyable to ponder for the last several hours. Sometimes, when you are really close to something, you do not see the full reality. I wonder if that is the case with the Mavericks and many of us (including me) as I consider what happened Saturday afternoon. Let me explain: There are a few beliefs many of us subscribe to. They are, 1) This team is as good as Dirk makes it on offense. 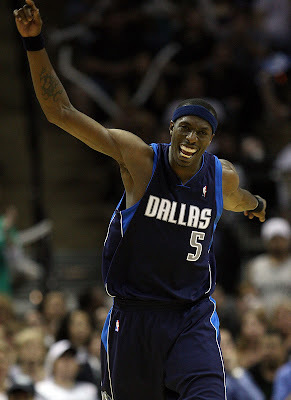 And if Dirk doesn't carry this team to a big win, then this team is as good as Jason Terry makes it. The reason we say that is that those are two guys who can score on this team. Everyone else needs transition or a loose ball or a wide open shot. But, in the half-court offense, only two guys can consistently get a hoop and the opposition cannot stop them: Dirk and Jet. Those two must be better than the best two on the team the Mavs are playing. The other belief is 2) The Dallas Mavericks are the same team that we have seen in 2007 and 2008. I am not some racing expert, but I do appreciate what those guys do and I do often pop on a race to see the final 30-60 minutes on a typical Sunday afternoon to see the grand finale. Its not unlike how I try to watch various NBA playoff games, really. Swoop in for the end and the big finish. Machine Gun Mondays leads with Nascar? You know it. Yesterday might have been the biggest finish of all. The video below tells a good portion of the story. Basically, at the time you join the video here, Brad Keselowski is trailing Carl Edwards with the final race to the finish line left. Keselowski and Edwards just worked together to draft past the former leaders, Ryan Newman and Dale Earnhardt, Jr, in an absolute stunning back stretch. So, around turns 3 and 4 they go, and Keselowski decides to go for the win in just his 5th ever start in the big leagues. I don't have a ton of time this morning after all of the Mavs-Spurs stuff has been completed, but I do want to provide a few items that are on my mind. From what I hear, and what I have written, the Cowboys have a few decisions that they may need to make. Obviously, the beauty of the draft is that often the decisions will be made for them, and therefore, it could be an absolute no-brainer by the time the choice gets to them. Or, if everything is gone, you might actually look to trade out of there. Truth be told, at #51, it would seem that you generally have 5-10 of your Top 50 on your own board available, as teams never have a board that agrees with everyone else's. The bad news is that if you were looking for the normal ice-cream headaches and adrenaline rushes that accompany playoff basketball, you may have had to find another fix for that. The good news is that the stress-free Game 3 at the American Airlines Center was the equivalent of a 1st round TKO in a prize fight. From the moment the game started, it appeared the Mavs were committed to pushing the tempo and running the ball. They were committed to staying after the glass aggressively. They were committed to getting the ball to Dirk in different spots to keep the double teams from being so easily applied. And they were committed to defense. No complacency tonight, my friends. How could that possibly be the same team we saw in Game 2? And the beauty of a 7 game series is that across Texas right now, the Spurs are asking the same thing for entirely different reasons in their city. How could they possibly be the same team their city saw in Game 2? Ah, the drama builds. So what worked? Everything. They decided to play the JJB card again by sending Barea into the starting line-up to guard Mason initially. But, the actual idea of switching out Antoine Wright for JJB was a simple tempo move. And since it worked with such precision and decisive authority, the Spurs were on their heels from the opening tip. A couple Barea lay-ups and a couple Josh Howard floating shots and the Mavs were up 10-2. The Spurs would get the lead down to 7 at 23-16, but according to my memory that was as close as they would get. I wanted to get back into the NFL Draft picture today, with the Spurs-Mavs allowing us a day to catch our breath. There are some very interesting things going on in the NFL world this week as the current state of the economy combined with the feeling league-wide that the rookie salaries have gone insane have caused many, many teams to attempt to trade down. Trouble is, if you are going to trade down you are going to need a partner and that is what is troubling many teams. Complacent - Adj pleased, especially with oneself or one's merits, advantages, situation, etc., often without awareness of some potential danger or defect; self-satisfied. Used in a sentence? The Mavericks seemed that they might have been a tad complacent on Monday night. 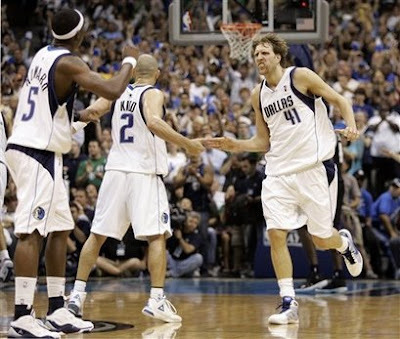 Here is today's question as we look back at a Game 2 effort that would have to be labeled as extremely poor: were the Mavs complacent? Or, were they simply the team that played road games like this all season? In 2006, if they would lose a game like this, it would be considered out of character, and perhaps complacency had set in on a road trip where they wanted to get a win, and since they got it on Saturday they felt quite satisfied with themselves heading into Monday. But, in a season where they went 18-23 on the road -- and where the Mavs have had losses of 19 or more at: New Jersey, Memphis, Phoenix, Milwaukee, Boston, Utah, Golden State, and Cleveland -- it is tough say with certainty that it was complacency. It might just be the 2009 Mavs being the 2009 Mavs. It has been a while. You know, since you felt that undeniable feeling of accomplishing a small mission in the post-season. The feeling of the Mavericks putting an opponent to the sword on their home floor. In an arena filled with their fans, in their city, and seemingly with their good fortune. And while the local basketball squad - that has been left for dead by many of its fans - is a long, long way from redemption, every journey begins with a step, and that step was taken last night in an impressive and somewhat stunning 105-97 win in San Antonio against the Spurs. You know it is playoff time, because this morning I find myself obsessed with reading the San Antonio papers (Buck Harvey, a Spurs cheerleader without the cleavage), and getting all obsessed with match-ups on the eve of taking on the hated Spurs in Game 1 on Saturday night in the Alamo City. Those myopic Spurs fans will be packed tightly into an arena where together they will once again agree that NBA refs are paid top dollar to cheat their Spurs. Yes, I realize this may all be over by May 1. Yes, I realize that pulling for the Mavs against the Spurs is sort of like pulling for Texas Tech to win the Big 12 South or the Rangers to win the pennant. But, I cannot help it. It sounds stupid to claim to be a MFFL when you grew up rooting for Sidney Moncrief and Don Nelson’s fish-tie, but I won’t pretend to be unbiased. I moved to town 4 weeks after the Mavericks traded for Dirk on draft day, and 18 months before Mark Cuban bought this team. I attended games at Reunion Arena that had roughly 3,000 people in the arena. I was there on March 29, 1999, and saw Mavs Man blow his ACL on a trampoline stunt in front of a small crowd as the Mavs lost to Seattle on the very night UConn won the 1999 NCAA Tournament with Rip Hamilton. I do love the Mavericks. Fabulous action once again at the American Airlines Center as the Dallas Mavericks handled the Houston Rockets in the 2nd half and bagged win #50. They have become the first team in the history of the NBA (I am told; there is no way I would do the amount of research it would take to confirm this) that a team has started 2-7 and still found their way to 50 wins by the end of the season. Absolutely remarkable work to finish your season on a 48-25 trend that suggests they belong in the conversation of potential sleepers in the Western Conference Playoffs. With all sorts of playoff scenarios floating around Wednesday Night, the Mavericks clearly had no real agenda other than to end the season with that same level of confidence that they have built up in the last few weeks. Winning 7 of 9 to finish the regular season may have no impact whatsoever on what they do in the 2009 NBA Playoffs, but for the first time in a couple years, it appears confidence is not a big issue at the moment with this team. Without the Lakers in the discussion anymore, I get the feeling the Mavericks were not too worried who they played in Round 1. Not to say that they were preparing for an easy Round 1, because honestly, any opponent will be favored against them you would think. But, I truly believed the Mavs would fancy their chances whether it was Houston, Denver, or San Antonio in the playoffs. Well, well, well. Apparently, in this off-season of Cowboys non-stories, it would appear that we may actually have a relevant news item to discuss. I won't lie, I enjoy the interviews with Troy Aikman and Deion Sanders, and I certainly enjoy the irony of many players, in an effort to talk about the team talking too much, offer another interview in which they themselves talk too much. But let's get to this glorious moment where we can finally lay out our autumn agendas. As usual, every scribe in the city must now offer you a 16 game run through, where they will assign with complete certainty a result while having no context, nor information with which to make any of these predictions. And yet, we all do it anyway. In San Antonio, when the Spurs fail, it is time for Spurs off-season mourning. A totally different way of sports way of life. Admirable in some ways, maddening in others. Anyway, here is Trey's question. Still more topics are being blogged on these days. I hope you are still able to keep up at Inside Corner. As Always, Use this Link to find all of my writings….Bookmark it if you so wish. • The Mavs Playoff Push: Without question, the item that was front and center from Friday night to Sunday afternoon was the plight of the Mavericks. The object of the game was to avoid a first-road date with the Lakers. First on Friday, the Mavericks beat the Hornets with a very impressive performance from Josh Howard. I have been very impressed with the Josh Howard of the last week. He makes me remember what we all saw in him to begin with. He reminds me that at full strength he is a very special player. On Friday, he did not settle for jump shots, and took it strong to the rim. And, Erick Dampier was ready to play with an impact-filled effort that saw him get points, rebounds, and actually give David West some issues on defense. 1) Read Jeff Miller's great stuff right below, please, on the season in review. 2) Read all about the Stars pursuit of a another sparkling Swede after the jump. And 3) Steve Ott is about to sell a few more jerseys (sweaters). If last time I wrote about our favorite hockey team it appeared to be an homage to Mike Ribeiro, than allow some equal time to the other strong candidate for the Dallas Stars MVP of 2008-09, our lovable hero: Steve Ott. Ott has been awesome this season, taking a gigantic step forward for this team, and if the Stars already didn’t have a near-perfect captain, then I would campaign for #29 to eventually wear the “C”. But, since the captain is ready to return the next time this team is ready to play a game, I guess we will all have to live with Ott being a fabulous 2nd in command. Anyway, If Ott ever was captain, it might make him more boring. You know, more responsibility leads one to “lead by example” so he might feel compelled to “tone it down”. And if there is one thing we don’t want Ott to do – it is to change his game and tone it down. It is too much fun to see Ott being Ott. Just brilliant. And the giggling of Ralph and Razor almost was as good as Ott. Love it. The man is an absolute genius. But you already knew that. When we vote Most Valuable Player for the Dallas Stars this season I will readily admit that A) it is likely silly to debate who the MVP is on a team that is going to miss the playoffs and B) beauty is in the eye of the beholder. But, how far down the MVP list must one go before he sees the magic of #63? The man is a genius on skates. No doubt, when he tries his moves of great skill, the second it doesn't work he is ridiculed by his coaches as being a hot-dog. I understand their views, because we see it all the time, someone is trying to make Sportscenter harder than they are trying to help the team. Please don't misunderstand me. I don't want kids trying these Mike Ribeiro moves in their youth leagues on breakaways. I also don't want them trying to "show up" the competition. I have another few confessions to make ( Dave Grohl – Eat your heart out). I confess that Rudy Jaramillo may, in fact, be pretty good at his job. I confess that Terrell Owens was surely not the ONLY reason that the Cowboys tanked this year. And, I confess that on this day, April 10, 2009, I am willing to declare that Mark Sanchez will be a better pro than Matthew Stafford. Before you try to storm the castle with your torches, calm down. If we are going to call that game the biggest game of the season, then we better be quick to offer compliments when they beat that opponent like a drum. Utah arrived in Dallas 3 days ago, and were quite rested and ready for the Mavs. That didn't matter too much, now did it? The Mavericks took over early with high energy, and the Jazz never seemed to threaten after Jason Terry hit back to back 3's late in the first Quarter. The route was on as the home side was carried by 31 points from Dirk, all in the first 3 Quarters (his 24th 30-point performance this season). Terry added 21, and JJ Barea played a fabulous 26 minutes with 18 points and 9 assists. Now, the Jazz and the Mavericks are locked in at 47-31, and thanks to a New Orleans loss at home against the Phoenix Suns, the Hornets can be tied for 6th on Friday night when they visit the Mavs. Crazy. If Dallas can just win the rest of their home games, it would seem most likely that they will avoid the dreaded #8 seed. • Mike Hindman told me about this webpage when I told him I wanted us, here at Inside Corner, to construct a complete and easy to read Rangers Contract page – complete with arbitration/service time listings and payroll. Mike’s answer “Scott Lucas already did it”. And, he did. 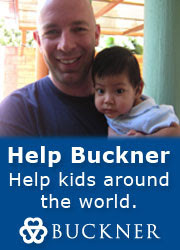 Check the link. http://rangers.scottlucas.com/site/40man.htm It is awesome and worthy of a bookmark. • Last week, the Dallas Stars Postgame Show (Bob and Dan) visited with Stars General Manager Les Jackson for nearly 30 minutes. If hearing about prospects, draft spot, roster building, Marty Turco’s work load, and a whole lot more, then this interview is for you: Give a listen to the full interview here . I think it is a good listen for those who are a bit bummed hockey season in Dallas has come to a close. Win tonight, Mavericks, or prepare for Kobe, Pau, Lamar, and friends. Plain and simple, the Mavs can still somehow pass the Jazz in the fight to avoid those Lakers in round 1. I don't know if I like the Mavericks chances against the Denver Nuggets, but I know I hate their chances against the Lakers. If there is one thing we have learned, it is the Mavericks are pretty salty at home (28-9); And, if there is another thing we are learning, it is the Jazz are awful on the road (15-23). The Jazz have remaining road games against the Spurs and Lakers, too. Basically, it is not a stretch to consider the Jazz will finish 2-3 in their final 5 if the Mavs take care of their business tonight. And if that happens, I could see a 4-1 finish in Dallas and a realistic passing of the Jazz into the #7 spot. Why Do They Cut Down the Nets? Tonight is the reason I love college basketball--the tournament. After tonight, is there any doubt that my beloved Carolina Tarheels are the best team in the country? Not one bit and that's because no one voted and said they were the best. They went out there and just destroyed every team in the way. I also have an ask sports sturm for you. What is the history behind cutting down the nets in college basketball? I tried to watch the Final 4. I tried to get into the crowning of North Carolina Monday night. To me, it just wasn't a very memorable tournament. Sue me. It made me yawn. A Tournament that normally gives you memorable characters, teams, or events did not keep its end of the bargain in 2009. I don't believe I remember 1 shining moment. I might not have looked hard enough, and maybe now I am paying the price for not filling out a bracket. But, I was more interested in reading about the Rangers opener during the hours of 8pm and 10:30pm last night than watching the Men's Final that was over with roughly 38 minutes to play. I sort of feel the same way for the entire 2009 NCAA Tournament. I told you a few weeks ago that I watch the Tournament from a "Who is going to be in the NBA making an impact next season" perspective . Last season , I had so many to watch. Derrick Rose, Kevin Love, Michael Beasely, the Lopez brothers, OJ Mayo, DJ Augustin, and even a guy like Roy Hibbert. It felt like a wave of NBA guys were coming. This year? After Blake Griffin, who looks like they will impact the league? Thabeet? So, I grabbed me some google on my laptop and looked for hope. What do we do with the future of Jason Kidd? Do We Keep Jason Kidd? * Josh Howard's return was the lead story (unless you consider seeing Dwyane Wade in person the lead story- more on that coming up) and there is no question that this team is better with him doing what he is capable of doing. The team just looks far more dangerous with Howard on the floor on offense (meaning that there is one more player that you have to guard) and the team has a prayer of getting a crunch-time stop with him on the floor as he uses his quickness and length to get into passing lanes and disrupt possessions. I was talking to Mavs people last night who were quite clear that his ankle still isn't right and he will clearly need surgery in the summer, but he is giving what he has for now. There is no doubt that people have gone to extremes about Howard (either good or bad) and I may be to blame for some of that , but when he plays his game he can be so valuable. I Noticed the Rangers are currently playing .600 ball in spring training. If they were to win at that pace that would mean a 97 win season. I was curious how previous Rangers spring trainings have translated to the regular season. At 18-13, the Rangers are now sitting at .581 baseball since James wrote me, but you get the idea. So, is there a correlation between the spring training records and the regular season accomplishments? Ah, the Race for Seeds 5-8. How do the schedules look? Mira! Last night, the Mavs won, the Blazers smashed the Jazz in Portland, and the Hornets snuck out of Sacto with a 1 point win. The key here, of course, is for the Mavericks to get out of the #8 seed to avoid the Lakers. Well, as you can see, that is not going to be an easy proposition. The team closest to their range is the Utah Jazz, who are a very poor 14-22 on the road this season. But, what might save their bacon is the 2nd tie-breaker; conference record, where they hold a huge lead on the Mavericks. That means any tie with Utah goes to the Jazz.